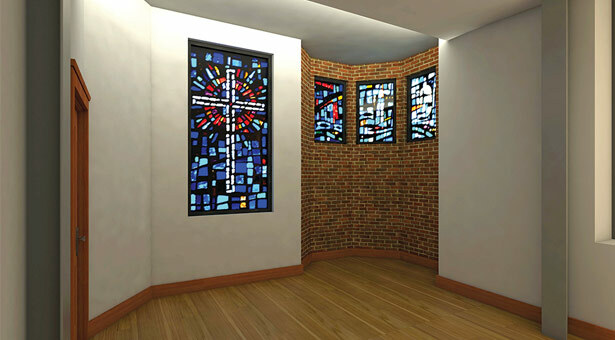 Alexander Chapel will undergo alterations to accommodate the building’s new steel frame, but the stained glass windows will remain, and, where feasible, existing masonry will be exposed. SPU has been working with an engineering firm for some time to determine how to bring Alexander Hall up to today’s seismic standards. No one anticipated, however, what would be discovered in the spring of 2013. Analyzing the building’s original construction and the wear and tear of 121 years, engineers determined that Alexander represented a potential safety risk. What was an unforeseen development became an opportunity: to fully restore and renew Alexander Hall for the future. The restoration project will carefully preserve the exterior of Alexander Hall while focusing on two critical components. First it will accomplish a seismic retrofit, helping to ensure the safety of Alexander Hall’s occupants in the Pacific Northwest’s earthquake zone. Second, it will make much-needed interior improvements, creating an optimum environment for future scholarship and mentorship. The craftsmanship will reflect the period influence of the building’s original construction date. While Alexander Hall is undergoing renovation, Response is collecting stories from decades of life lived there. Write to us at response@spu.edu and you could see your answer printed in the next magazine. Answers may be edited for clarity or length.